CFH TEAM BIOS — CFH, Ltd.
James R. Ott has worked in nearly every position in the food production and processing system over the course of his 30+year career in Agriculture. He grew up on a fourth generation family farm in Nebraska and received a degree in Agronomy and Agricultural Economics from the University of Nebraska. Jim has lived and worked in various capacities inside and outside of the U.S. and has held many functional positions in Agribusiness ranging from field level farm sales, product research & development to international executive management for Syngenta, a multi-billion dollar Swiss Agriculture and Biotechnology corporation. After years of improving the production and business models of agricultural and vegetable crops, Mr. Ott has chosen to draw on his plant science and business experience to develop a model for genetic trait, production optimization and business sophistication for the cannabis plant. He believes the cannabis plant holds far more compelling medical, nutritional and industrial benefits to society than any other crop currently being grown in America. Mr. Ott has extensive experience in the seed, pest management, biotechnology, plant science, animal and human nutrition, plant and animal genetics, food processing and farm real estate development industries. He has consistently utilized his experience and innovative approaches in sales, marketing, product development, market and business development, to expand into new markets and commercialize and launch new products and reorganize businesses. Following 10 years with Syngenta, he started Precision Foods, a nutrition analysis company that was sold to Monsanto. He has studied industrial production systems at Harvard University with Dr. Ray Goldberg and has successfully utilized his entrepreneurial, empowering and high expectation leadership approach to start and run business units and divisions ranging from $1M to $200M in revenue. Mr. Ott’s mission is to advance the development, delivery and utilization of crops for the enhancement of human health. He has forwarded this mission with his vision, passion and broad horizontal & vertical experience in the food and agricultural system by providing food and agricultural companies with financing, management and marketing expertise and support. The broad vision that drives Mr. Ott, is to grow and deliver medical & health products for consumers by developing improved genetic traits and the most efficient production systems. James R. Ott currently serves on the Colorado Department of Agriculture's Hemp Advisory Committee and is the Vice Chair of the National Cannabis Industry Institute's Cultivation Committee. He also has frequent speaking engagements at industry conferences and events on the topics of genetic development, plant & production science, standardization of industry practices and business development. Jeremy Raab is a professional cannabis grower, researcher and consultant with 12 years’ experience in the cannabis production industry. Though Jeremy grew up in Colorado, he was first introduced to cannabis cultivation in 2004 while attending Whittier College in Southern California. The state had a flourishing medical cannabis industry and Jeremy was able to work his way through school while learning the processes he would refine in the years to come. Jeremy designed, built and managed several production facilities during his time in California and provided wholesale cannabis to local retailers. After college Jeremy returned to Colorado. Though the state’s cannabis industry was in its infancy, he was able to continue producing medical cannabis for patients as a caregiver. Towards the end of the decade, evolving regulations paved the way for hundreds of new producers to enter the marketplace. At this time Jeremy began working as a production consultant, aiding new cultivators in establishing themselves as well as helping existing producers to maintain a competitive edge. Early on in his consulting Jeremy discovered the need for standardization in production methodology. Each existing cultivator had a unique production process, often ill-suited to producing a consistent, high-quality product at a competitive cost. Jeremy seized upon this opportunity, beginning his research and development of a least-cost, highest efficiency production model. His areas of focus included lighting, environmental control, nutrient profiles and fertigation methods, growing substrates, plant manipulation and canopy management, production cycles, plant populations and integrated pest management. These efforts resulted in the development of a standardized production process tailored to the unique needs of the cannabis plant. Jeremy has implemented these prescription cultivation methods in many facilities with a high degree of success. By reducing materials and labor costs as well as increasing yields and the rate of crop turnover, he significantly increased his clients’ efficiency and profitability. After developing and proving his standardized production systems, Jeremy joined CFH, Ltd. to build upon this research. Though his methodologies optimized the production of the cannabis plant, the wide range of diversity in Cannabis species and subspecies remained a variable that had to be accounted for. CFH, Ltd.’s development of novel genetics coincides with the development of production processes tailored to those genetics. By pairing a cultivar with a prescription cultivation method, Jeremy aids producers in consistently executing on the expression of the desired traits that make each variety uniquely valuable. Heath Thomson is a partner and the director of business development at CFH, Ltd. where he focuses on strategic partnerships, operations, marketing, and team dynamics. In addition to his work at CFH, Ltd., Heath is a partner and director at Chugach Powder Guides, an Alaskan heli-ski guide company, where he provides strategic planning, business development, and product design expertise. He was also the founder, chief executive, and head chef of Metes & Bounds – Table to Farm, a Silicon Valley based events and hospitality start-up. As an angel investor, Heath has invested in a number of early-to-mid-stage startups including Kodiak Sciences, a biopharmaceutical company which develops novel therapies for retinal diseases, and is a limited partner in several real estate ventures and venture capital funds in the digital media and consumer services industries. Heath is a chef who has trained at several Michelin starred restaurants including Spruce and The Village Pub in the Bay Area. His philanthropic pursuits include work with the National Outdoor Leadship School, Peninsula Open Space Trust, and The Nature Conservancy. He enjoys spending his "free" time with his wife, friends and dog fishing, flying, and skiing, ideally on top of some steep, snowy mountains. Greg Muller is an entrepreneur with over 25 years business experience encompassing financial management and continuous product innovation to strategic planning, gross margin expansion, value chain enhancement, domestic and international sales, and wide scale distribution logistics. His experience is extensive in the commercial agriculture sector, specifically in the produce and floral areas of greenhouse & field production, global product sourcing, and mass market retail channel distribution. Greg has held roles as grower, operations manager, financial analyst, GM, COO, and CEO & Founder. National clients that have included: Trader Joes, Whole Foods, Kroger, Safeway, Walgreens, Costco, Home Depot, 7-Eleven, and amazon.com, among numerous other wholesalers and retailers. Greg’s strong startup, finance, operations and management background has led him to experience all aspects of controlled environment production utilizing the latest technology, genetics, hydroponics, and financial management systems. Greg brings his agile awareness of trends to the table, knowing how and when to change business approaches to meet the evolving needs of the market to drive growth and increase profitability. With a BBA in Accounting and Finance from University of Portland, Greg started his career as an auditor for a national CPA firm. Taking that experience, he became commercial manager for Ameri-Cal Floral/Johnsen Nurseries/Five Star Farms where Greg managed all aspects of sales, distribution and product development while also working to install the first large scale (over 1MM square feet of greenhouse) commercial hydroponic flower growing system in the USA. With this background, Greg also founded Ameri-Cal Produce, a successful hydroponic greenhouse tomato startup. And, then as owner and CEO of Ameri-Cal Floral and Fusion Floral, Greg created an innovative domestic and foreign product platform that serviced mass market retailers with emerging products, enhanced category management through ultra-efficient sourcing, logistics and manufacturing all with the focus centered on the ever changing consumer. Along with being CFH, Ltd.’s COO, Greg is an ongoing investor and advisor to the venture AgPollen, an alternative almond tree pollination startup that is addressing solutions to the bee pollination shortage. He is also actively involved in many organizations and charities, as well as guest lecturer at the University of California, Berkeley Haas School of Business. Paul Altendorf has over 20 years of experience working in the plant genetics industry. While working for the plant ag company Syngenta Seeds, Paul worked extensively toward the development and application of DNA marker\Genome sequencing technologies in crop species, such as, field corn, soybean, and rice. Previous work includes the application of genetic marker systems for fingerprinting characterization of breeding material, as well as, discovery\development of DNA assays for marker assisted native trait selection toward the improvement of plant phenotypes. Over the last 20 years, vast improvements have been made in the area of Genomic and Genetic technologies, enabling the improved characterization and selection of native traits in plant species. Paul has firsthand exposure with the evolution of genetic platforms and technologies. Paul’s experience in the area of plant genetic characterization pairs well with both, the CFH ltd. team and the deployment of the CFH R&D mission. Josh Fulmer is the Greenhouse Manager for CFH, Ltd. and is involved in daily operations of plant propagation and management, as well as all greenhouse operations. As a graduate of The Pennsylvania State University’s College of Agriculture, Josh has extensive experience in Horticulture, Business Production, Plant Pathology & Research and was involved in the propagation and cultivation of a variety of teaching, economic, and research crops. Throughout his career, Josh has held positions as Foreman, Salesman and Grower experiencing the full span of operations in a Greenhouse environment. For both Behmerwald Nursery and Pennsylvania State University, he played a central role in greenhouse and outdoor nursery crop IPM, scouting, planning, nutrient, and disease management. As Head Grower for Whalen’s Greenhouses in Pennsylvania, Josh oversaw all aspects of crop production including not only IPM, nutrient and disease managment, but diagnosing and correcting client issues, and monitoring, maintaining and repairing of all greenhouse mechanical systems. 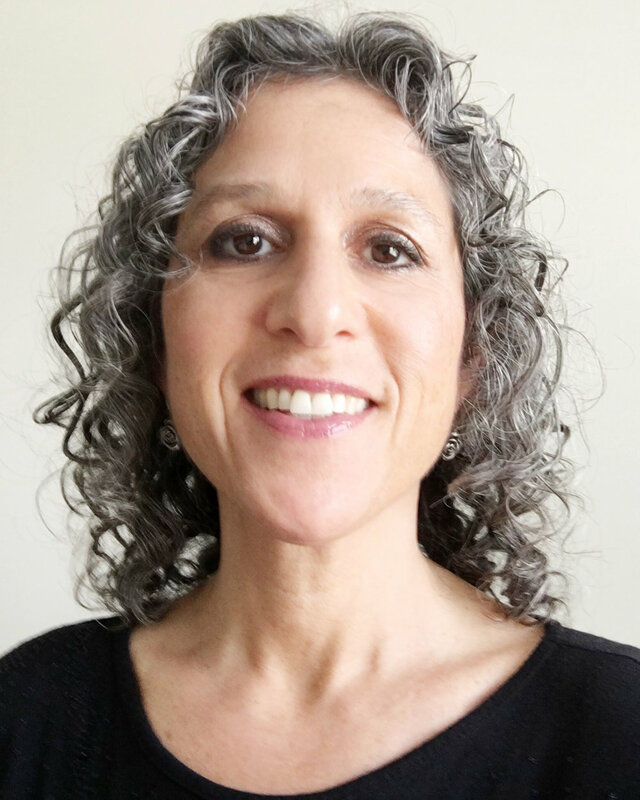 Dr. Karen Hufnagl, DC, MS is a Functional Medicine Practitioner and the Founder of In Avanti Health – a private medical practice where she specializes in helping people get to the root cause of thyroid and hormone imbalances, gut/digestive issues, stubborn weight, and fatigue. Using the most cutting-edge, science-based testing to diagnose and personalize a treatment plan, she employs holistic, evidence-based strategies to consistently achieve successful outcomes. As the Functional Medicine Doctor for one of the premier Crossfit gyms in the United States, she is also dedicated to helping athletes reduce pain and inflammation, maximize their recovery and performance, and reach new heights in their athletic pursuits. She combines more than 17 years of study and practice in functional and alternative medicine with her review of emerging research on cannabinoid medicine, the endocannabinoid system and her clinical experience using full spectrum hemp oil to serve as the Clinical Science Director for CFH, Ltd.
Dr. Hufnagl’s approach is rooted in her personal journey and triumph over thyroid cancer, numerous hormone imbalances, and years of struggling with her weight. She holds a Doctor of Chiropractic degree from Palmer College of Chiropractic West and a Masters of Science in Clinical Nutrition from the University of Bridgeport. She continues with ongoing post-doctorate training and certifications, including functional endocrinology, functional medicine, women’s health, environmental medicine, and functional blood chemistry. With a Master of Science in Horticulture from Auburn University, Samuel Hand brings considerable technical and research expertise to CFH as Production Specialist. Samuel’s experience in Entomology and Plant Pathology provide additional scientific expertise in pest management in the areas of field and greenhouse production. His research background brings strong support in executing research trials, collecting and managing data and applying this research to develop prescription crop production methods for CFH’s portfolio of genetics. Wes and Susan are a professional couple with Diverse and Extensive Award Winning Backgrounds in Finance, Service, Marketing, Sales, and Management. They are a uniquely suited team for International Business Research and Development. They have traveled and lived internationally on several continents. They have expertise and experience in Strategic Planning, Competitive Analysis, Marketing, as well as Distribution and Sales Channel implementation and Management. They have over 30 yr. experience in Marketing and Sales in the Financial, Sporting Goods, Natural Health Products, and Automotive Industry including many awards and recognitions. They have worked in Farming, including all Phases of Alfalfa and Hay production including operating machinery for cutting, raking, baling, and stacking Hay. They have worked with growing and harvesting various crops including Zinnias, Hemp, Corn, and other vegetables. They have worked with and have Substantial Knowledge of Soil Food Web, Organic Micro-organisms and other natural and organic soil amendments, composting, and aquaponics. Wes is a Private Pilot and stays current flying for business and pleasure. Susan is a certified ZHealth trainer and instructor, and is an accomplished and gifted Health Professional trained and certified in several other modalities and disciplines. Further experience includes work as a Trust Officer and Trust Consultant for HNW families, including Development work for Family Foundations. Also 5 yr. Experience as Certified Trading Advisor, RIA, and Options Trader Specializing in Metals, Bonds, and Stock Indexes. They are both All American Masters Track and Field Record Holders in 50, 60 and 100 meter Dash, Long Jump, Triple Jump. Jill Schmitz is a cannabis professional experienced in working with medical and retail brands nationwide. Her focus is to provide quality, tested health products that promote optimal health while targeting specific wellness solutions. With over 5+ years in the legal cannabis industry, Jill is able to provide extensive education and customer relations support. She has been successful launching and marketing brands, working directly with consumers to assure success. As a yoga practitioner since 2012, Jill is a Certified Yoga Teacher and Ayurvedic Yoga Therapist with additional continuing education at the Rocky Mountain Institute of Yoga and Ayurveda and additional certification in cannabis concentration production and technology. Hara Sitnick has 30 years of experience as an herbalist in the holistic health field. After receiving her Bachelor's degree from UNCA, Hara got her start with on-the-job training at the original Earth Fare in Asheville, NC and studying with local herb teachers. She pursued further studies full-time at the Northeast School of Botanical Medicine. Upon completion, she worked for the next 12 years in a compounding pharmacy as the herbalist and front end manager. Hara is service-oriented and committed to helping people live happier, healthier, balanced lives. She is enthusiastic to help make this powerful plant medicine available to more and more people. Making connections and developing relationships is fundamental to her approach. Hara currently represents CFH, Ltd. as North Carolina’s Account Manager. With over 20 years working in almost every aspect of the creative industry, Gwen brings a comprehensive approach to CFH, Ltd.’s Marketing department. After receiving her Bachelors in Psychology and Zoology from North Carolina State University, Gwen started her career with a diverse perspective. Working her way from Project Manager to Director of Marketing for several large real estate development projects, Gwen honed her skills in project management, branding, marketing & design. Gwen worked as a professional photographer for many years, shooting commercial catalogs and executive portraits and was responsible for coordinating and managing large scale creative projects. She later moved on to become Creative Director at Damage Studios, a full service media and marketing company in South Florida from 2012 to 2015. She was responsible for managing creative teams and organizing & executing online educational videos for various schools & universities including Vanderbilt and Belmont Universities, among others. She has also directed commercials & other advertisements for Television & internet and handled media & brand development for accounts in North Carolina and South Florida. With more than 15 years experience in formulation, process development, & manufacturing of biologicals, chemicals, and pharmaceuticals, Dr. Scott Stelting adds a diverse range of expertise and experience to the CFH team as Product Development Director. Dr. Stelting has a PhD from the University of Canterbury, New Zealand in Chemical and Process Engineering and offers extensive experience in Pharmaceutical API, Biologics, and Food Manufacturing processes. Beginning his career as Fleet Biologist for the National Oceanic and Atmospheric Association (NOAA) in the Bering Sea, Dr. Stelting moved on to hold such positions as Bioprocess Engineer at Massey University, Chemical & Process Engineer for the University of Canterbury and Formulation Scientist for the National Wildlife Research Center in Fort Collins, CO. Dr. Stelting is also Principal Scientist and Owner of CORE Formulations, LLC and has been published in various scientific journals. At CFH, Dr. Stelting is responsible for collaborating with CFH’s Team & Clinical Science Director to develop new & innovative formulations and highly efficacious full spectrum hemp flower oil products. CFH Production Specialist Brett Brown is from Mobile, Alabama and carries a BS in Horticulture and an MS in Plant Pathology from Auburn University. After gaining extensive laboratory experience studying under Dr. Kira Bowen, Brett has developed a valuable background in both business and agriculture. Brett also contributes his experience in plant disease diagnosis and management along with an expertise maintaining micropropagation labs. If you have the pleasure of meeting Brett in person, ask him about his involvement in Florida's Post Hurricane Irma reconstruction in 2017. It was a subject of an online article written this year. Brett enjoys traveling and is excited to make Colorado his new home. Mr. Brent has extensive experience in all aspects of the MJ/Hemp industries through his direct ownership and operation of dispensaries/cultivation facilities, consulting to entrants into our industry, growing a lighting infrastructure entity as well as founding a number of companies. He has dedicated his time and efforts in advocacy for CBD uses for the community within the Medical Marijuana Industry. Specifically, Brent is the founder of Sequoia CBD, Inc., a clinically focused company that has assisted those patients with severe and debilitating medical conditions. Prior to his entrance into the Cannabis Business Sector (8 years ago), and over the a 30 year history, Brent has held numerous Senior Executive level positions in Fortune 100 financial institutions in operations, management, compliance, sales, regulatory oversight and fraud management. Having a background in both Cannabis and traditional Business Management affords Steve a unique skill set…He is able to translate and apply traditional business acumen to a typically non-traditional industry. Steve is a graduate of San Diego State University, earning a Bachelor of Science degree in Business Management/Organizational Behavior (understanding how to work with other teammates to achieve great things). He loves his family, his pets (3 dogs – Tibetian Mastiff, Newfoundland and a tea cup Yorkie, as well as 3 bengal cats) and is an avid golfer.